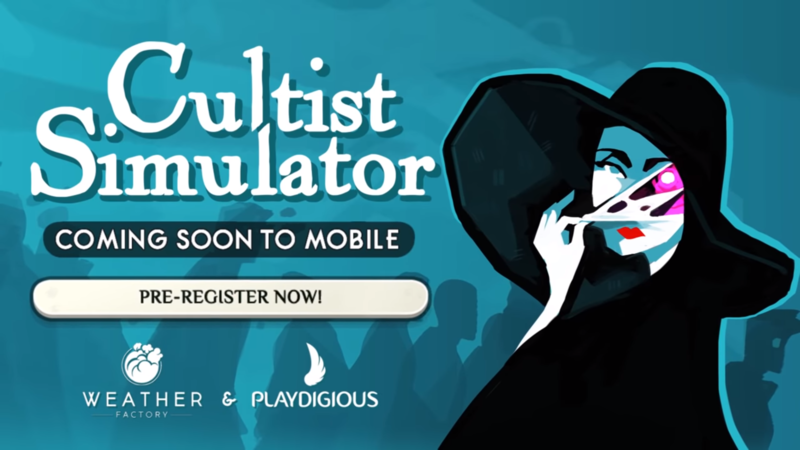 Weather Factory originally released its Lovecraftian card game Cultist Simulator on PC in May of 2018, and Playdigious has taken the reins for the development of the mobile version that will soon land on Android on April 2nd. Weather Factory has recently announced the official release date of the Cultist Simulator mobile port on its official Twitter account, and you can even pre-register for the title on the Google Play Store. 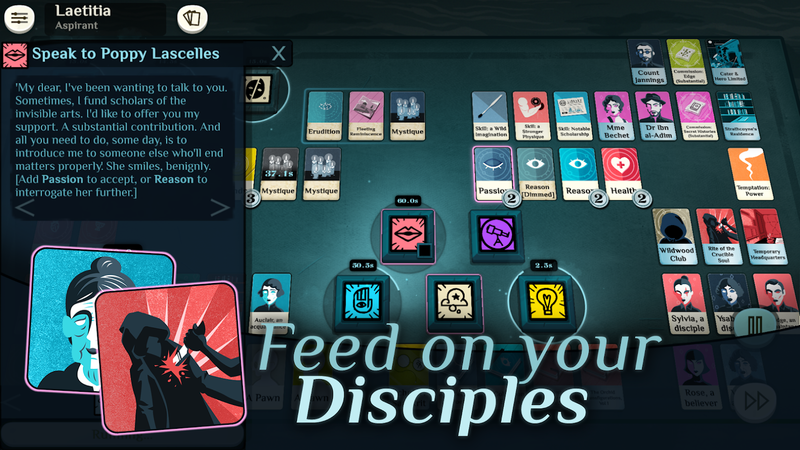 Cultist Simulator is a unique story-driven roguelike that contains plenty of card-based mechanics. The premise revolves around founding your very own cult, and what's funny about this setup is that you're forming this cult so that you can eventually feed upon its members, which is where the Lovecraftian theme comes into play. Your choices will inevitably affect and shape the overall story, and since this is a game that can take anywhere from 20-40 hours to beat, you can expect a lot of avenues for deviation in the narrative that allows for a good bit of replayability. If you choose to pre-register for the upcoming release you can score 30% off the launch price ($6.99), which brings the total cost down to $4.99. And if you take a look at the Play Store listing, you'll notice that there is no mention of any advertisements or in-app purchases, which is a good sign that Cultist Simulator should land as a premium release. The reviews for Cultist Simulator have remained positive since it launched on PC, so unless Playdigious somehow manages to screw up the mobile port, it would seem there should be little to worry about. The only unknown right now is how well the touchscreen controls will work, but since this is obviously a card-based game, it should ideally lend itself well to touchscreen controls. 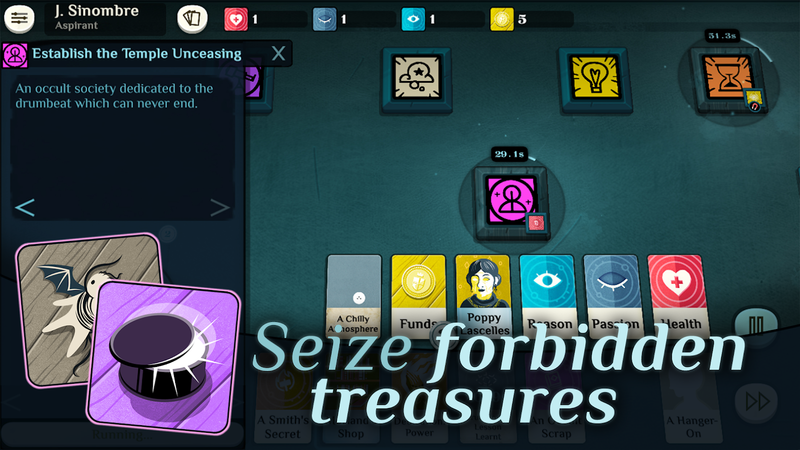 So if you're looking for a deliciously evil roguelike card game to play through, make sure to keep your eyes peeled for the Android release of Cultist Simulator on April 2nd. 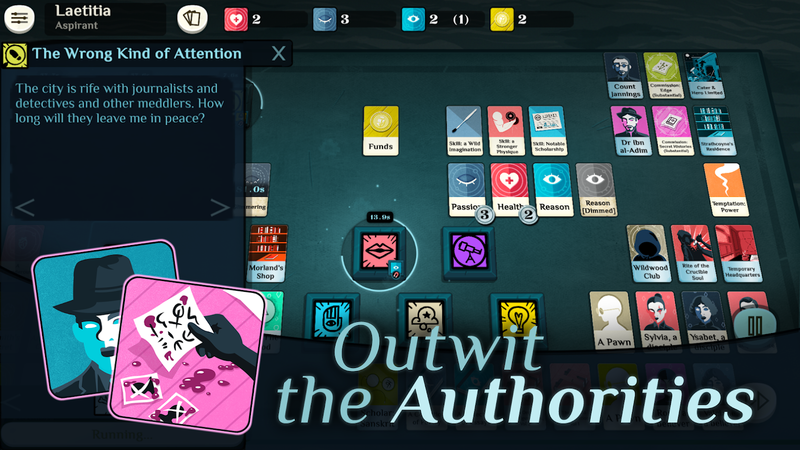 Last week Weather Factory announced that its card-based roguelike Cultist Simulator would be launching on Android on April 2nd, and lo and behold the developer has held true to its word. As of this morning, Cultist Simulator is officially available for purchase. It's currently on sale for 30% off the regular retail price ($6.99), even if you didn't pre-register, and the deal will last for seven more days, so make sure to snag Cultist Simulator for $4.89 while you can. Want to seize forbidden treasures, summon alien gods and feed on your disciples? There's an app for that! Cultist Simulator has now infiltrated iOS and Android! Paris, France – April 2nd: Finally you can found a secret society on the go! Weather Factory have joined forces with Playdigious, indie game mobile specialists behind Evoland 2, to bring their award-winning occult strategy game to mobile. Culstist Simulator is now available on iPhone, iPad and Android! Get it now at a special 30% off launch price for a limited time! Cultist Simulator is a game of apocalypse and yearning from Alexis Kennedy, creator of Fallen London and Sunless Sea.Challenging roguelike gameplay. Intense, immersive narrative and a rich Lovecraftian world! Play as a seeker after unholy mysteries in a 1920s-themed setting of hidden gods and secret histories. Become a scholar of the unseen arts. Indoctrinate innocents. Seize your place as the herald of a new age. 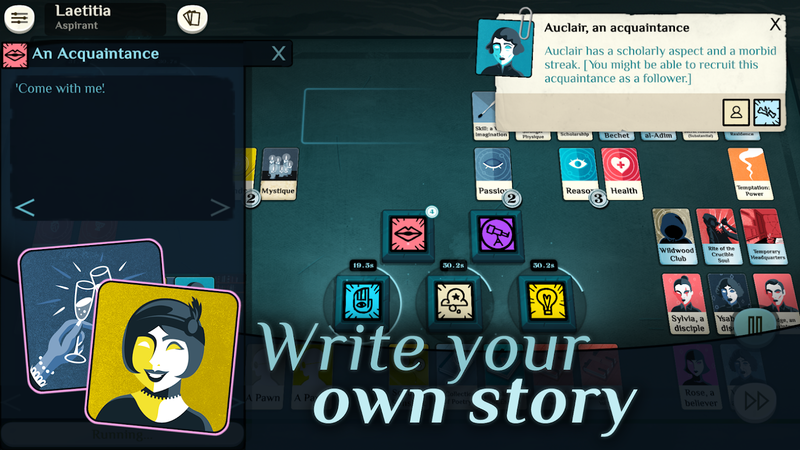 A BAFTA nominated, indie success story first released on PC, Cultist Simulator now has captivated more than 200,000 players all over the world. The mobile version of the game is available in English, and is supported by all devices with iOS 10.0 and Android 4.4 or higher, and over 1GB Ram. We'd love you to review the game! Email [email protected] for a promo code, or [email protected] for interviews.